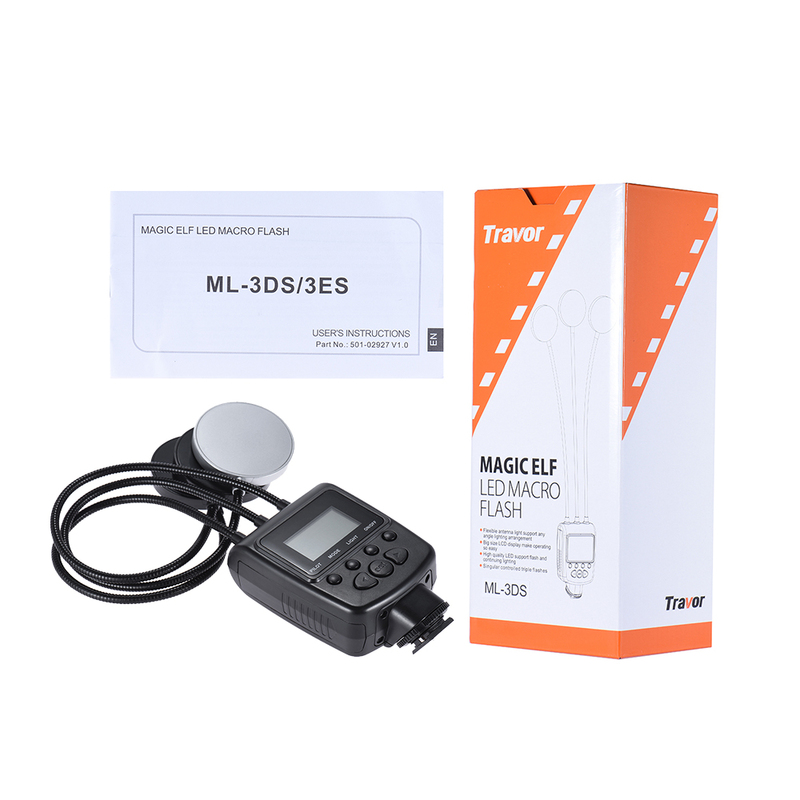 Travor ML-3DS GN31 LED light is great for jewelry and macro photography. 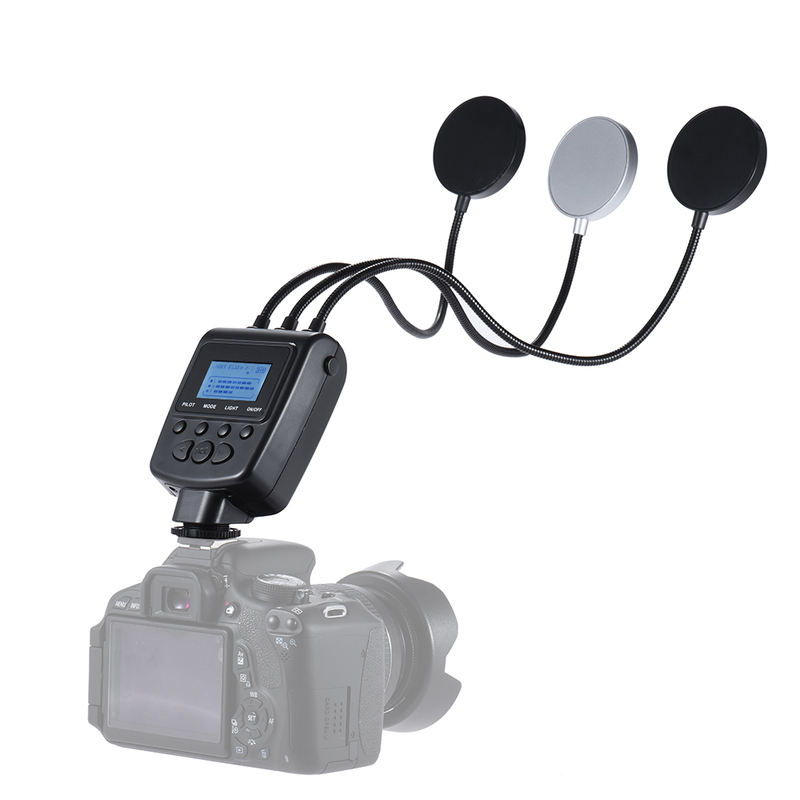 It can offer 7 color lighting effects. 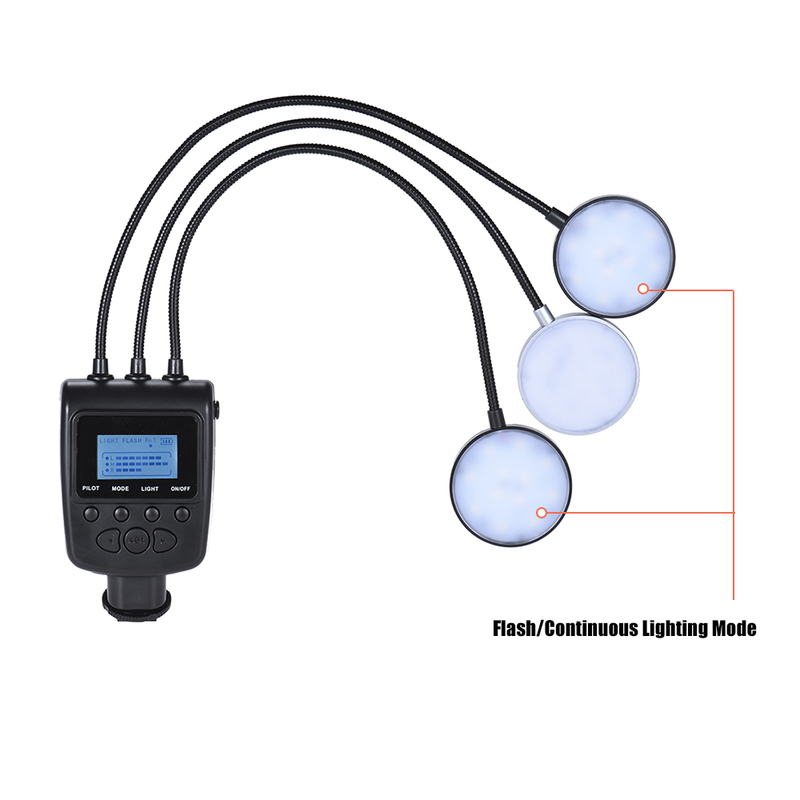 8 fn modes for deciding the lighting condition. It has memory function and therefore you can save wanted modes for common use. Flexible metal tube design enables you to achieve any lighting angle easily. 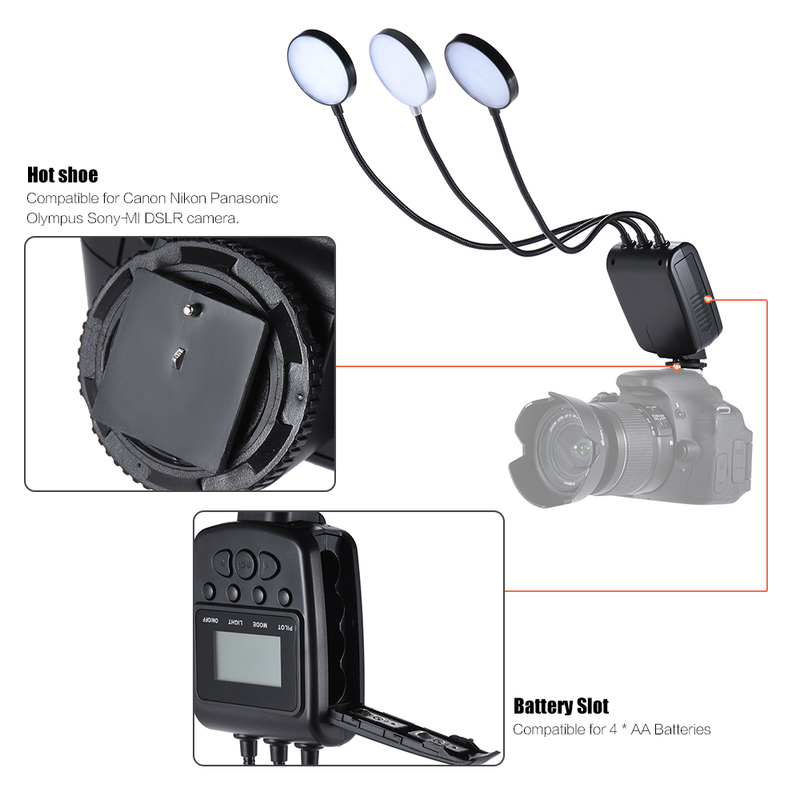 Hot shoe compatible for Canon Nikon Panasonic Olympus Sony-MI DSLR camera. Easy to operate. 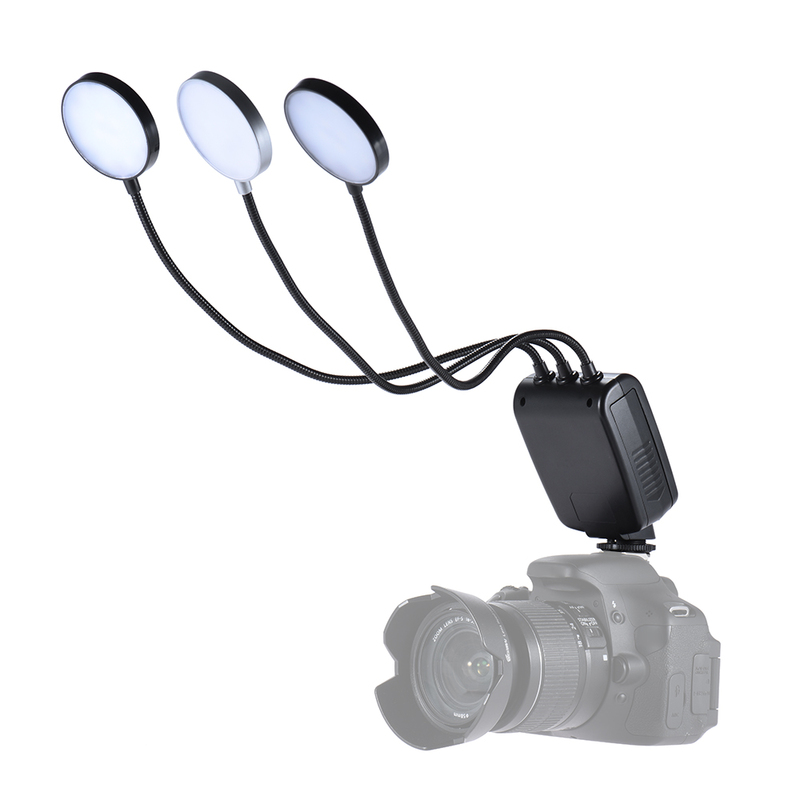 Video LED light with hot shoe, compatible for Canon Nikon Panasonic Olympus Sony-MI DSLR camera. Super flexible metal tube for adjusting any lighting angle conveniently, great for macro photography. 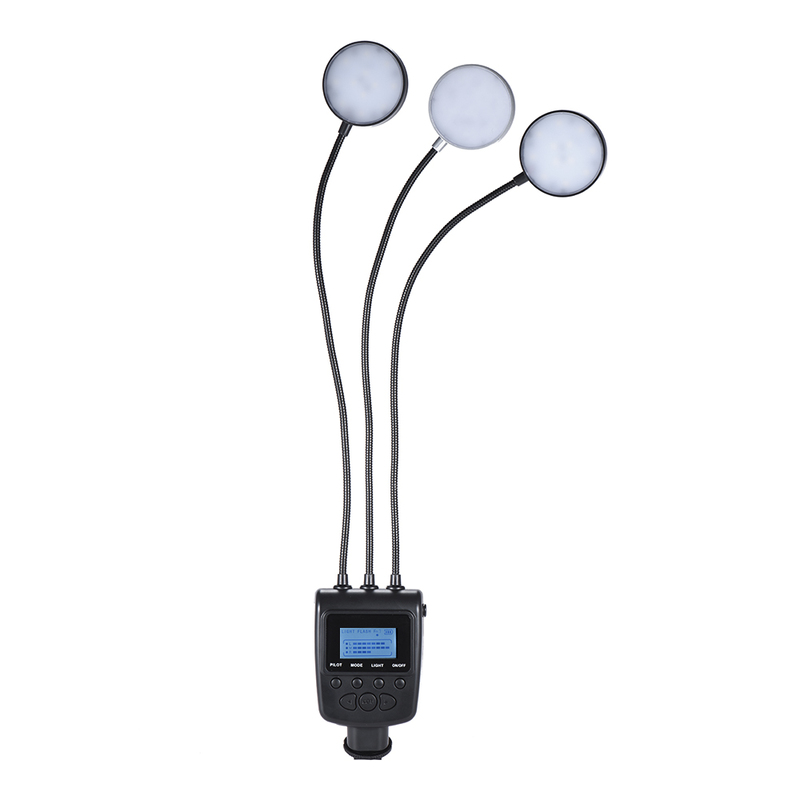 2 LEDs color temperature 5500K, 1 magic LED with 7 switchable colors, nice choice for shooting jewelry. 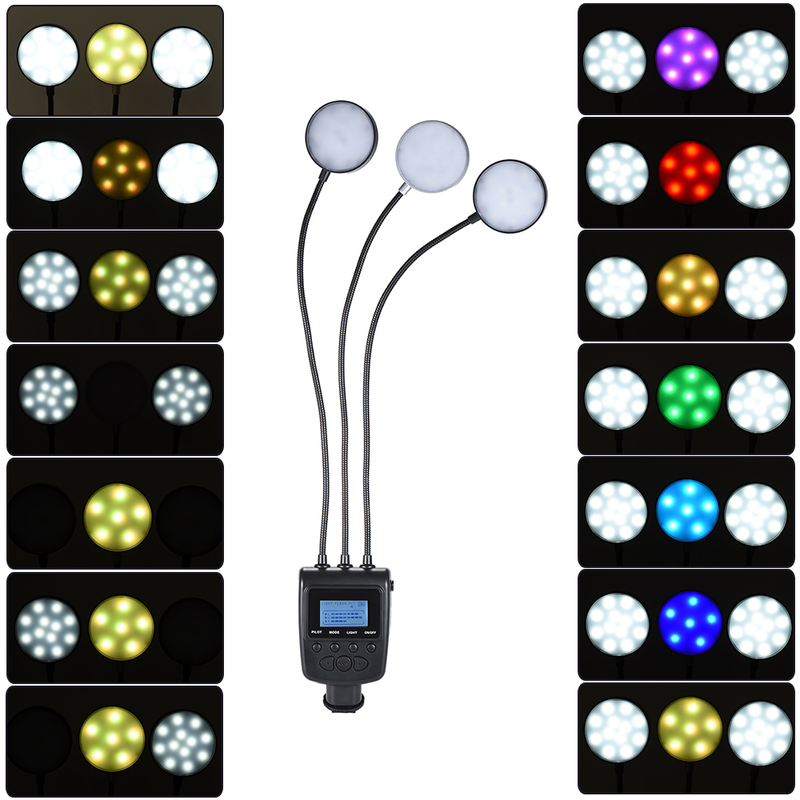 8 fn modes for deciding LED status, you can choose your wanted light color and brightness. With memory function, you can save lighting modes for common use. LCD screen display working condition for easy operation. Camera and battery are not included.